The idea that a migraine is just a headache has been debunked time and time again. While one of its core symptoms is a headache, a migraine is a neurological condition that is accompanied by other symptoms. It may or may not include a headache. Most people suffering from migraines report nausea and vomiting, yet it remains a puzzle for the medical community as to why they occur. 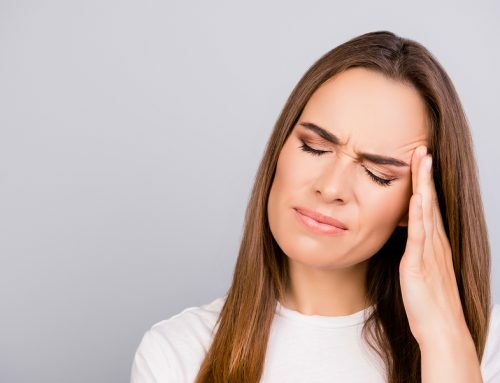 Many doctors believe that migraines are caused by various factors such as genetics, a brain chemical, trauma, poor diet, environment, and some other reasons, but none have been determined as the final cause. Stress: As many as 50-80% of migraine patients report stress as their top migraine trigger. Any rise or substantial decrease in stress may lead to a migraine. 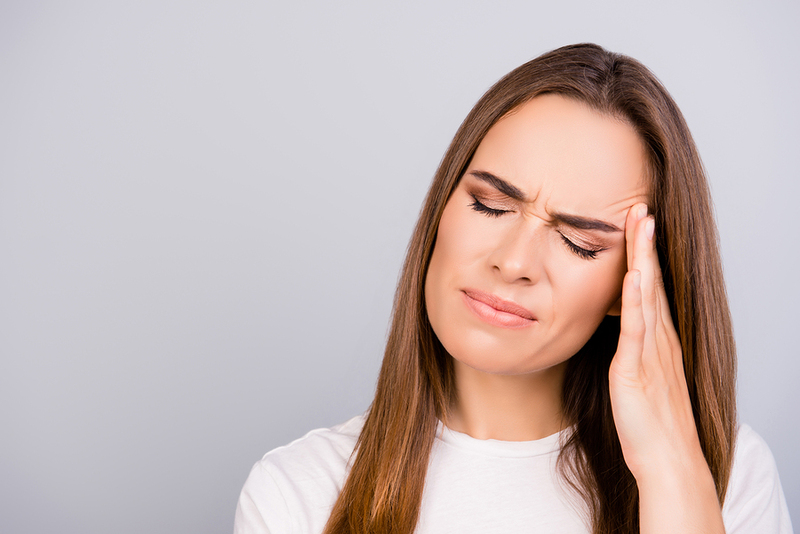 Some patients report dealing with a stressor before a migraine comes on, while others experience a migraine in the middle of a stressful incident. Inadequate sleep or having jet lag: Having insufficient sleep is another factor related to migraines. Furthermore, too much sleep, changes in your work schedule, or jet lag may also bring about migraine attacks. People with insomnia are also at a higher risk for migraines, as well as anxiety and depression. Dehydration or hunger: Not drinking enough liquid may cause migraines too, just like in the case of 40% of people dealing with migraines. Along with not drinking enough water, skipping meals may cause a drop in your blood sugar levels, which can trigger a migraine episode. Food additives: Artificial sweeteners like aspartame has been reported to trigger migraines. It has also been seen to aggravate clinical depression. MSG, a flavor enhancer put into savory foods and used commonly in Asian cuisines, is another additive that can bring on migraines. Caffeine: Excessive consumption of caffeine can prompt migraines. It is advisable to be aware of your caffeine intake. Coffee, tea, soft drinks, and energy drinks are high in caffeine. But not having enough caffeine or withdrawing is as equally bad. Over-the-counter medications may also contain caffeine. Medication overuse: Too much intake of pain relievers meant to relieve migraines can sometimes cause them to return stronger than ever. This is also known as a rebound headache. It is a painful cycle of taking medication to fight migraines only to worsen them because the body has developed a dependency on the medication. Alcohol: This is one of the most common triggersfor migraines. While migraine patients consider red wine a chief migraine trigger, research shows that other alcoholic drinks are equally troublesome. Strong or toxic odors: The common smells that trigger migraines include gasoline, perfume, cigarette smoke, and strong food odors. Also known as osmophobia, these odors can trigger migraines or make one worse during an attack. Loud noises and bright lights: People with migraines are highly sensitive to loud sounds and bright lights, flickering lights, and even sunlight. Bright lights and loud sounds can produce pain and discomfort during an attack. Medications: Medications such as some sleeping tablets, antidepressants, contraceptive pills, and hormone replacement therapy can also contribute to migraines. That’s why tracking your medication usage is essential if you have migraines. Food: Certain foods like chocolate, cured meats, aged cheese, and frozen foods can be a huge trigger for some people. Try an elimination diet to help you determine any food intolerances that may trigger your migraines. Weather changes: Some migraine sufferers appear to be more sensitive to changes in the weather. Their weather-related triggers include extreme heat or cold, high humidity, dry air, windy or stormy weather, and many others. Hormones: Women are three times more likely to get migraine headaches than men. This may be due to hormone fluctuations, as many women get menstrual migraines. Being pregnant and taking oral contraceptives may also worsen migraine attacks. Physical activity: Too many intense workouts or activites may also trigger migraines. This was the case for 38% of migraine sufferers. They were forced to abandon their favorite exercise or sport. In many cases, the underlying cause of migraines can be traced back to a misalignment in the bones of the upper neck. When these bones get out of their correct position, blood flow to and from the brain can be affected. The brainstem may transmit incorrect messages from the body to the brain and vice versa. Nerves can also be affected by this misalignment. Here at Solara Health in Calgary, Alberta, we practice a gentle and accurate method of upper cervical chiropractic care to realign these bones. After one or two adjustments, most of our patients can enjoy positive outcomes such as less severe and less frequent migraine attacks. Some patients see a complete disappearance of their migraines. Contact us to schedule a consultation.